is an ancient furniture in our country. Due to the limitations of raw materials and technology, the development of Rattan furniture industry is very rapid. Whether it is in the size of the company, the quantity, the output value or the type of product, structure, modeling, technology and product trade have been greatly developed. Rattan furniture has become a highly integrated furniture product with artistic modeling and functions, technology and materials, value and practicality. It is attractive and competitive in the furniture market today. China's rattan furniture is sold at home and abroad. To people's lives bring simple, fresh, elegant and quiet pastoral atmosphere, rattan furniture industry coruscated with unlimited vitality and vitality. The development and utilization of rattan in China has a long history. According to previous reports, before the Han Dynasty, high-foot furniture had not yet appeared. People sat and used furniture as seats and couches. Among them, there were rattan weaving seats. Rattan seats and bamboo seats were collectively referred to as, which was a more advanced kind of seat at that time. In ancient books such as "Yangfei", "Jilinzhi", and "Things", there are records of rattan seats. The rattan seat was a relatively simple rattan furniture at the time. Since the Han dynasty, due to the development of productivity and the improvement of the rattan craft level, the variety of rattan furniture in China has increased, and rattan chairs, rattan beds, rattan boxes, rattan screens, rattan vessels and rattan crafts have appeared one after another. The ancient Chinese book "Sui Shu" appeared as a offering of vines. The "Zhengde Qiongtai Zhi" compiled by the Ming Dynasty Zhengde and the subsequent "Yachuan Zhi" described the distribution and use of palm vines. Zheng He of the Ming Dynasty in the Fujian Quanzhou Museum kept rattan furniture on the shipwreck of the Western Ocean, which confirmed the level of development of rattan furniture in China at that time. In the existing exquisite Ming and Qing furniture, there are also seats for rattan seats. According to the records of Yongchang Fuzhi and Tengyue Hall Records published during the Qing dynasty period, the use of palm vines in Western Tengchong and other places can be traced back to the Tang Dynasty. It has a history of 1500 years. In southern Yunnan, according to the records of the Qing Dynasty "Yuanjiangfu" and the Republic of China's "Continued New Annals of Yunnan", the use of palm vines began in the early days of the Yuqing dynasty. It has also been more than 400 years old. According to research, Yunnan rattan has been at a high level before World War II. At that time, Yunnan's rattan was exported to European countries such as Southeast Asia and Germany. Among Yunnan rattan, Tengchong rattan has the highest reputation. The rattan is known as Tengchong Sanjia, and Tengchong is also known as Tengyue, Fujikawa, and Tengchong in the history books. From this, it can be seen as a Leopard, Tengchong's rattan, and the Great Hall of the People used to regard it as a collection of treasures. 1, rattan furniture is strong permeability, fresh hands, simple rattan color helps calm, summer bedroom as much as possible to use rattan furniture, summer sleep will be very beneficial. 2, rattan furniture warm and cool in winter and summer, and in the original processing process must be cooked, dried, bleached, mildew, sterilization and other processes, particularly durable, a choice, 20 years or even 30 years can benefit. This is also one of the reasons why the price of real vines is higher. Rattan can achieve biodegradation, so the use of rattan is conducive to environmental protection and will not cause pollution to the environment. 5, strong regenerative ability, Vine is a rapid growth of plants, the general growth cycle is 5-7 years. The vine is a creeping plant that grows in the tropical rain forest. It is light and tough, so it can weave various forms of furniture. The biggest feature is moisture absorption, heat absorption, natural breathability, and insect protection. Physical properties such as not easily deforming and cracking can be equivalent to or exceed mid-to-high grade hardwood. Although there are many benefits to rattan furniture, because rattan quality also has advantages and disadvantages, so there is also a trick when shopping. Look carefully at the selection of material rattan with thick, symmetrical and non-variegated rattan as a high-quality rattan. The inferior quality Vine is fine, the toughness is small, and the resistance pull is low and easy to break. Due to its location in the equatorial tropical rain forest area, frequent volcanic activity, abundant sunshine and rain throughout the year, and fertile volcanic ash soil, the vines produced there are known for their full symmetry. Check whether the overall color of the "Yan" view Vine furniture is consistent, whether the adhesion site is stable, and whether the appearance is the main factor for testing it. For the rattan chair with seat pads, carefully observe whether the arc position of the seat pad is consistent with the furniture arc position, whether the fabric pattern is neatly spliced, and whether the floss is smooth and straight. The technology of rattan furniture can be divided into two categories: one is the process of making pure rattan furniture, and the other is the process of making rattan furniture mixed with rattan. The production process of rattan furniture can be divided into eight parts. They are: Raw Material selection, raw material grinding, raw material processing, polishing, assembly, weaving, semi-finished product polishing, and oil injection. The surface of the vine is rough and is a kind of thorny plant. Therefore, when making it, the raw materials must be "polished". This kind of grinding machine tool is a tool for grinding the raw materials of vines, mainly using sand belts and grinding wheels. The grinding is divided into two parts to complete, one is rough grinding, and the other is fine grinding. The polished material must be steamed, and the steamed rattan is more resistant to insects and mildew. This is a tool often used to make rattan chairs: muskets, high-pressure air cooling guns, and consoles. The setup of the console is relatively simple, but there are many uses. It is the main tool for bending the Vine. On the top of the operating table, two iron cylindrical cylinders with diameters of 8 cm and 25 cm are fixed on top, and the distance between the two iron cylinders is 10 cm. The process of bending the vine is done on this console. In addition to the rocking boats we mentioned earlier, there are also many decorative flowers on the vines. These large and small decorative flowers can not only serve as decoration and beautification, but also serve as a support. In this section, we will highlight how these flowers are made. Under normal circumstances, a rattan rocking chair requires eight small decorative discs and two slightly larger decorative discs. Their production techniques are basically the same, but the size is slightly different. There are many types of vines, of which 600 are known, of which Liteng, Hongteng, Badanteng, and Li Yuxian are the most commonly used. The vines used in our rattan chair production are mainly Batam rattan, sand rattan and livine. Badanteng and sand pods are generally uniform in thickness and are good materials for making rattan chair skeletons; Rito's flexibility is very good and it is an indispensable raw material for making disk flowers. The assembly of this part of our session is mainly to assemble the rattan armrests, rocking boat parts, rocking boat discs, and rocking boat support rods that can be assembled for half a rocking chair. Before assembling, we still have to polish these parts. The polishing method is the same as before, and we will not talk about it here. The tools used for assembly are the No. 5 drill, the electric screwdriver and the No. 5 screw. This is the shape of our final assembly, because this part of the assembly technology is relatively simple, we do not go into details, the electric drill punched in these marks, each point punched two holes, and then the same type of screw to fix it. So we made half a rocking chair. Make the other half of the rocking chair in the same way. Rattan furniture is mostly a frame structure, and other assembly structures are attached to the frame. Therefore, the frame is the skeleton of rattan furniture. According to the different framework materials, there are: rattan frame, bamboo frame, wood frame, metal frame, etc.. Among them, rattan frame and bamboo frame are used more. So the choice of frame material is the primary content of the structure design of rattan furniture. The frame of rattan furniture not only reflects the appearance of furniture, but also the main part of the force. Therefore, whether the frame structure form and the combination structure are reasonable or not directly affects the strength, stability and appearance of furniture, and designs their systems. It is the main content of the structure design of rattan furniture. The rattan of the production frame often needs to be bent or even twisted, connected(usually with an opening or a joint), width, or material(connecting two or more rattan in a radial direction, In order to increase the stress strength and enhance the shape of the rattan furniture framework, the framework structure connection methods generally include: nail joint, wood screw connection, joint joint, joint joint, binding, binding, binding, etc.. A piece of furniture often has to combine several kinds of application, according to different parts of the furniture, adopts the appropriate structural connection method. At present, nail joint, wood screw joint and binding are the most widely used structural connection methods. The width of the Vine, the length, the horizontal material and the angle of the vertical material(T connection, L connection), the cross connection, the oblique connection, the U connection, and the V connection can all be nailed, mainly metal nails. Commonly used metal nails include round nails, nail nails, U-shaped nails, etc.. The method of nail connection is simple and easy, the joint strength is general, and the adhesive is often reinforced when nailed. In general, parts of the main frame can be combined with round nails. U-shaped nails can be used for binding, binding, starting fixing and closing of rattan skin, and small components such as the materials of the frame material, structural decoration components, and pressure strips. Fixing can be shot nails. The commonly used wooden screws are plate head wooden screws and sinking head wooden screws. Today, there are wooden screws specially designed for the development of rattan furniture. The end of the countersunk wood screw can be nailed into the material and depressed. When painting, the putty is used to flatten the head. After painting, the nail head position can not be seen. The appearance is better. The wood screw connection strength is high and the connection is convenient. 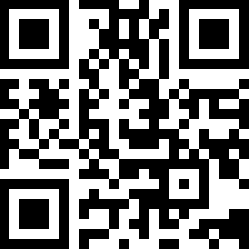 It is used in the connection of the main frame of rattan furniture(the connection of larger components), and it is a connecting structure with more applications in modern rattan furniture manufacturing. The tenon method is used in the production of rattan frames for the length(end to end) of rattan bars, the T-word connection or L connection of parts(the combination of horizontal and vertical material, the cross connection, the cross connection, the bending of components, etc.. The joint method of the joint method mainly includes: the mouth, the round rod, and the knuckle, and it needs to be used with the glue joint to achieve the effect, and sometimes the nail is strong. The strength of tenon joint is high, and the appearance is good, but the process is slightly complicated. The joint of the round rod or the joint of the tenon joint for the length and bending of the material is a widely used method for modern furniture making. Glue binding is generally used in conjunction with other methods. It is an auxiliary connection method, and there are few single glue joints. Glue joint, whether before or today, applications are very common, white latex is a commonly used rubber species. The packaging method is often used for furniture T connection. It is to bend a piece of rattan(horizontal material) around another piece of rattan(vertical material) for a week and then connect its tip to the main rattan(horizontal material)(with glue and nails). Or bamboo pin fixed). This method needs to sawn or cut half of one end of the rattan(horizontal material) before connecting so that the connection around the back end is fixed and flat. There are many binding methods used in the framework connection of rattan furniture. There are frameworks that use the binding structure alone, but most frameworks use the binding structure on the basis of the above connections to play a strong role. The binding material is rattan skin, but also can use cowhide. There are many binding methods that can change patterns, reflecting not only the beauty of craftsmanship and structure, but also the interest of simple nature. The above is a common connection method for the framework structure of rattan furniture. In the structural design of furniture, according to the quality requirements of furniture and the strength requirements of different parts, a suitable structural connection method is selected. Due to the variety of types and shapes of rattan furniture, the rattan framework is also varied and varied. There are also many decorative armrest brackets and frame brackets on the main frame. Due to the limited diameter of rattan, rattan with a smaller diameter must be used as a main frame material to meet the strength requirements. At the same time, due to the excellent bending properties of rattan, ceRTAin bending and distortion can also be performed when combining., It is necessary to design the material structure of the main frame linear parts. At the time of design, the following structural forms are commonly used: the structure of a single material, the structure of two materials, the structure of three materials, the structure of three-axis materials, the structure of clustered materials, the structure of twisted materials, and the structure of twisted materials. The composition of each form of material, the modeling effect is different, according to the need to choose. Regardless of the form of the frame, it is basically composed of linear parts. How the parts are combined can meet the required frame form and meet the strength needs. This is an important aspect of the frame structure of rattan furniture and it is also a manifestation of the frame structure form. It is the key point of the structure design of rattan furniture. In rattan furniture, there are many applications of backrest, armrest, foreleg or armrest and backrest. This structure can give full play to the bending performance of rattan, and at the same time, the shape also appears smooth and smooth. In this paper, such a form of linkage is called continuous support. Even the back of the back sometimes needs to be connected together by several parts, and the part of the length is also a structural form. Generally, it can be carried out at the junction of the face and the handrail. The important point of the frame structure form is to use the entire rattan as much as possible for the main skeleton force parts. In rattan furniture, in addition to the basic framework, leg support is indispensable. Since rattan is easy to bend and lighter at the same time, the application of leg support can play a role in strengthening structural stability. The form of leg support is also diversified. There are also more cross-supports in the diagonal direction. Of course, for the stability of the furniture, the legs of the rattan furniture should be turned outwards to increase the contact area; Although there is also a weaving structure on the seat surface, seat support is also necessary. It acts as a hard support, supports the seat panel and maintains stability, so that the life of the furniture will be extended, and the seat panel can be fixed on it. Easy to add cushions, Make furniture more comfortable; Handrail support is another important component of rattan furniture. There are many forms. Handrail support is a good embodiment. Handrail support is an important factor in keeping a certain shape of handrails. There is also backrest support, which is also an important factor supporting the back and maintaining stability. The same seat support has similar effects. In short, the frame structure has a great influence on the overall quality of furniture. When designing the structure, it is necessary to conduct in-depth research and design suitable structural components and forms. In addition to the connection, the frame can be properly decorated before assembly of other components. The main method of decoration is binding. There are many ways to bind, Commonly used entwined patterns include vegetarian entanglement, single tendons, double tendons, flower diamond entanglement, flying bird entanglement, Leiwenchan, interlocking entanglement, arrow tangle, tangled, woven, lateral entanglement, and tendons. (Clip and rattan), Prismatic entanglement(wrap, interlocking and snake belly) and so on. At the time of design, whether or not the frame of furniture needs to be wrapped and wrapped is also one of the aspects of design. The surface layer is the woven layer or other class surface that is based on the frame. 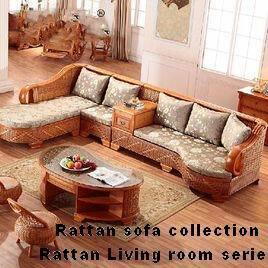 In rattan furniture, there are many applications of the surface layer, and the form of the surface is varied. According to the structure and formation of the surface layer, the surface layer can be divided into an assembly frame braid surface, an assembly rattan joint surface, and a component structure surface layer. The structural surface layer of the component includes the support plate braiding surface, the cover braiding surface, the component rattan braiding surface, the component frame braiding surface, and the individual braiding surface. Various surface layers, assembly methods are different, the more commonly used assembly structure is weaving assembly method, fastening sealing method and pressing bar fixation method, various methods of modeling effect and strength performance are different. In the design of rattan furniture, it is necessary to understand and comprehend the structure and assembly structure of these surfaces. In the design of furniture, the shape can be realized. Of course, the texture of the weaving face itself is different, and its own weaving structure is also different. The type of pattern pattern of the surface layer is extremely rich. At the same time, the surface layer itself has a closing structure. When designing the furniture structure, these should also be taken into account. 1, when using and storage do not make it contact and close to the source of fire, heat, do not put in the sun for a long time exposure, otherwise it is easy to fade, dry, deformation, bending, cracking, loosening and disjointed. 2, because there are more places to hide ash on the surface of rattan furniture, vacuum cleaners can be used to vacuum first or brush the dust from inside to outside with a soft brush, then wipe it with a wet cloth, and finally dry with a soft cloth. 3, after using a period of time, with light salt water to wipe the rattan, not only can decontaminate but also make its flexibility lasting, there is a certain anti-brittle, anti-worm-moth effect. 4, the original color Vine furniture refurbishment treatment method: first clean and dry, and then use sandpaper to polish its Vine frame, so that the epidermis decontaminate and restore smooth, and then light oil protection. 5, avoid direct sunlight for a long time, avoid close to the source of fire, in order to prevent rattan fade, dry, deformation, bending, cracking, loosening and detach. When you clean, you can vacuum it first, or brush it with a soft brush from inside to outside. Then wipe it with a wet cloth and wipe it with a soft cloth. After using for a period of time, it can be wiped with light salt water. It can not only decontaminate but also keep its flexibility for a long time. There is also a certain anti-brittle and anti-worm-moth effect.